Are you ready to check out the new video channel “Rueda & Casino figures” from SalsaNor? 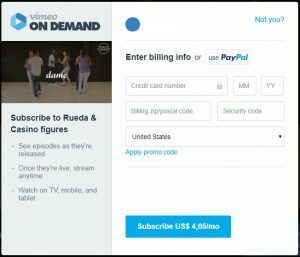 High quality, educational dance videos of Rueda de Casino figures, Casino figures, Rueda combinations and structures, and related dance topics. Including important instructions and information about the various figures. Starting with 15 videos October 2018, and new videos to be added weekly! You get a chance to review Rueda figures that you already learned, picking up details and information you may have missed in class. And also learn new figures and combinations. By subscribing you also support SalsaNor, and you help us support a Cuban cultural charity project (see the trailer video). Go to vimeo.com and click ‘Join’ to create a free Vimeo account. 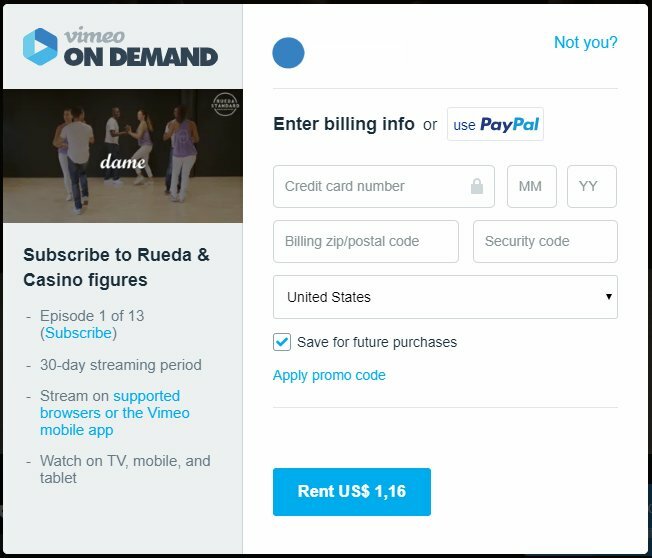 Go to vimeo.rueda.casino and watch the channel trailer, and scroll to the bottom for free bonus videos. B) renting one or more videos for €1/video for 30 days. 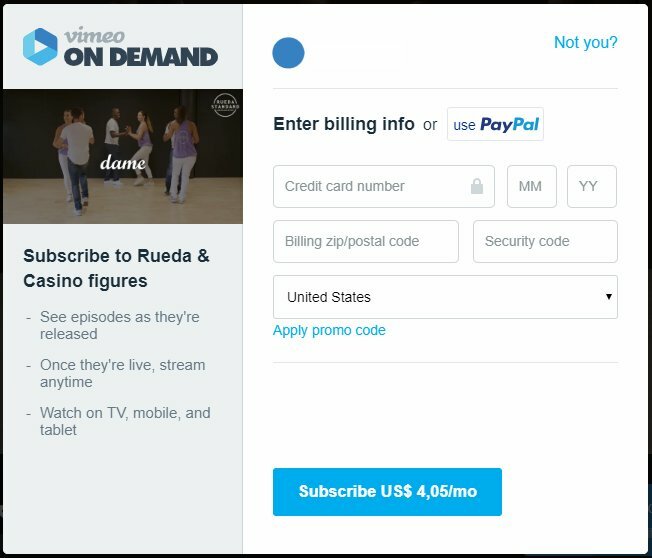 Enter your billing info, and click Subscribe / Rent. If you have a promo code, click ‘Apply promo code’. You are free to unsubscribe any time you want. We hope you will enjoy the videos. Remember to log on to your Vimeo account when you want to view the videos on the Ruedastandard pages.